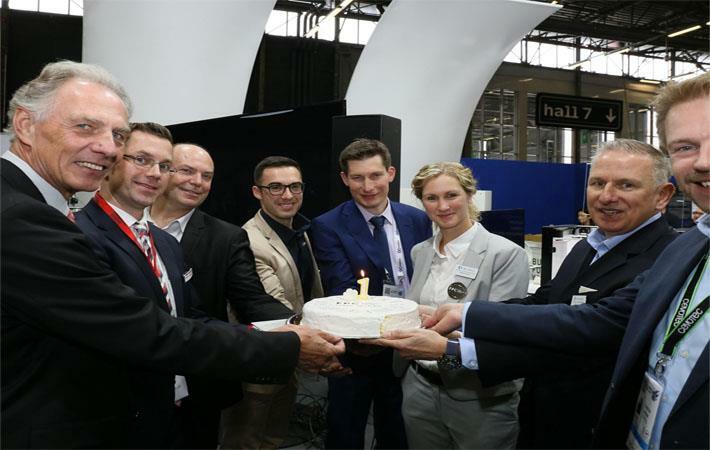 The Fibre Placement Centre (FPC) of SGL Carbon and Fraunhofer IGCV, at the SGL site in Meitingen, has completed one year. The centre has now been joined by two new partners Cevotec and Coriolis Composites. The plan is to set up a Samba Pro Prepreg processing line with Cevotec which will complement the FPC's services with the Fibre Patch Placement Process. The Samba Pro Prepreg processing line will be set up in Meitingen by mid-2020. Thorsten Gröne, managing director of Cevotec, said: "The Fibre Patch Placement process is particularly suitable for complex shaped components while achieving short cycle times. Through joint projects in the FPC, we will further develop our technology and create new applications together with our partners." Thomas Gahr of Coriolis Composites, said: "Automation more and more turns into an essential part of the composites industry. Particulary this is true for Fibre Placement processes. As partner of the FPC, we will contribute not only with our systems, moreover additionally with our sound expertise in robot-based Fibre Placement solutions."